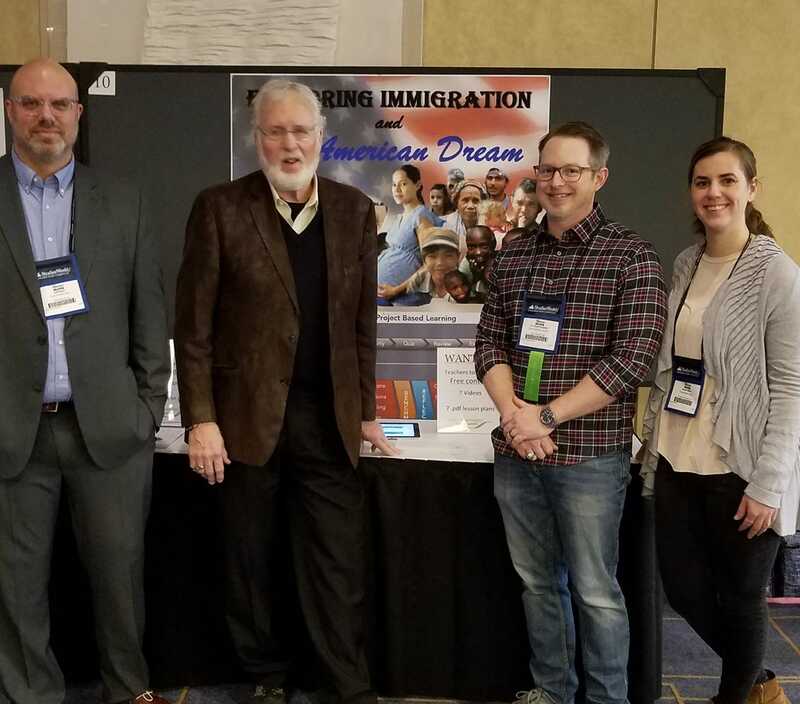 Waiting to meet teachers at NCSS conference in Chicago is the great team that helped me launch EXPLORING IMMIGRATION AND THE AMERICAN DREAM, our school series of electronic learning modules (ELMs) today in Chicago @ the national conference of the National Council for Social Studies. To my left is senior content consultant Jeff Bush of Kent County Innovation High. To my right is Prof. Scott Roberts of CMU and Alexis Lecznar of Grosse Pointe Public Schools.